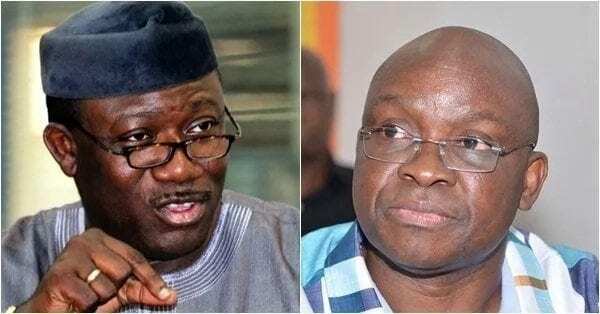 Ayodele Fayose, Ekiti State Governor, and the governor elect in the state, Kayode Fayemi, on Friday engaged in exchange of words over allegation of sale of some properties belonging to the state government, including the Oja Oba ultramodern market. 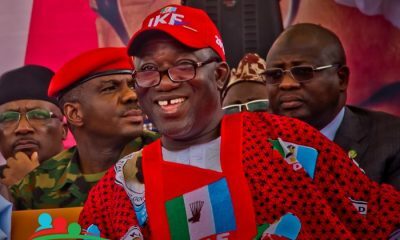 Fayemi, during the week through a statement by Yinka Oyebode, his Chief Press Secretary, had called on the public to beware of moves by the Fayose to dispose of some valuable properties of the state via alleged shady arrangements. 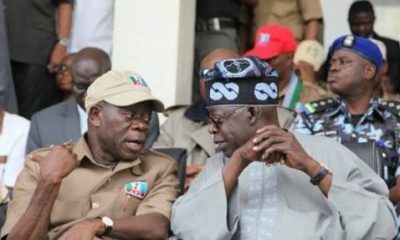 The statement read, “The attention of the Governor-Elect of Ekiti State, Dr. Kayode Fayemi, has been drawn to the clandestine moves by the outgoing Governor of Ekiti State, Mr. Ayodele Fayose, to hurriedly dispose of some valuable properties of the Ekiti State Government through shady arrangements. 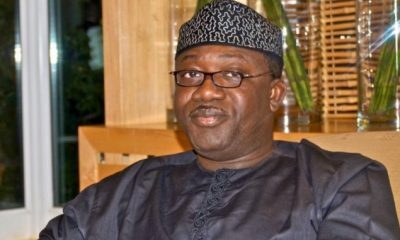 “Some of the properties are: a large expanse of land between the Ondo State Civil Service Commission and Elan Club, in front of the Government Printing Press, Alagbaka, Akure; Erinfun Livestock Development Centre, covering 600 hectares of land along the Federal Polytechnic Road, Ado-Ekiti; the new Oja Oba market. 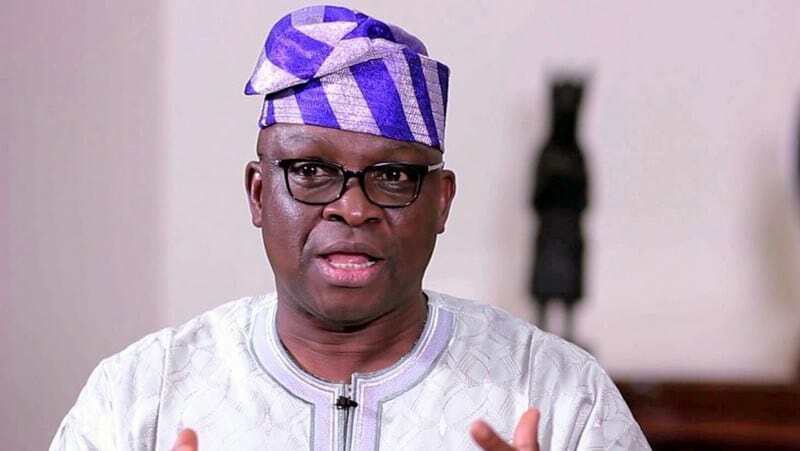 Fayose, while recating to the allegation, stated that he still remains the governor of the state till October 16, urging Fayemi to wait for the time he would be sworn in. 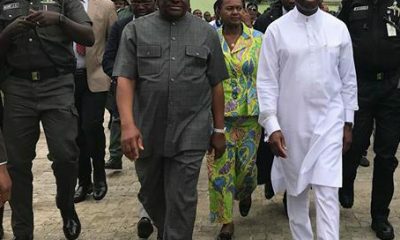 He said, “The governor-elect is wasting his time. 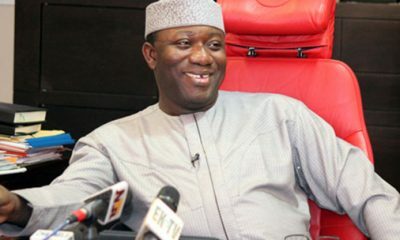 I am still the governor of Ekiti State till October 15 legitimately. He is only ranting. That is ranting. He should wait for his time. 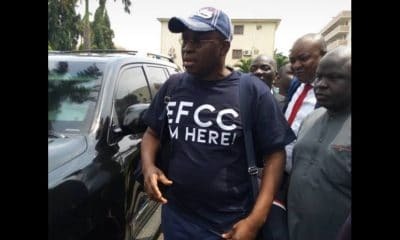 Somebody stole a mandate and he is still claiming to have a mandate. 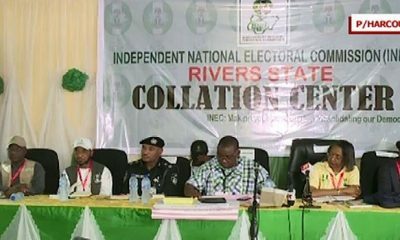 “It is the kind of leadership we have in the country that causes this kind of issue. I was elected for a four-year term, which will end in about six weeks’ time. I will function till the last day of my departure. If he likes, he can do what he likes during his tenure. The record will be there for him.